Meine Arbeit "Merkaba Swan" ist in dem Buch "Art via Post" veröffentlicht. 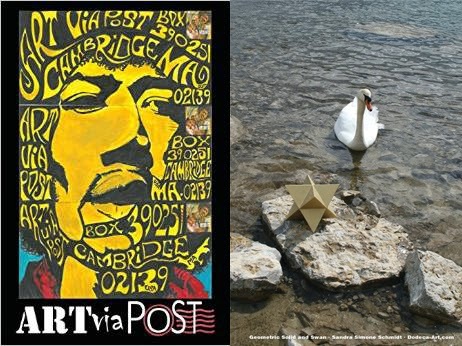 "The Art via Post Exhibition and book explores the art of snail mail in the digital age. In 2014, we asked artists from around the world to send in decorated envelopes. The results were astonishing. Enjoy over 150 decorated envelopes from artists of all ages, in a myriad of mediums, from around the globe."